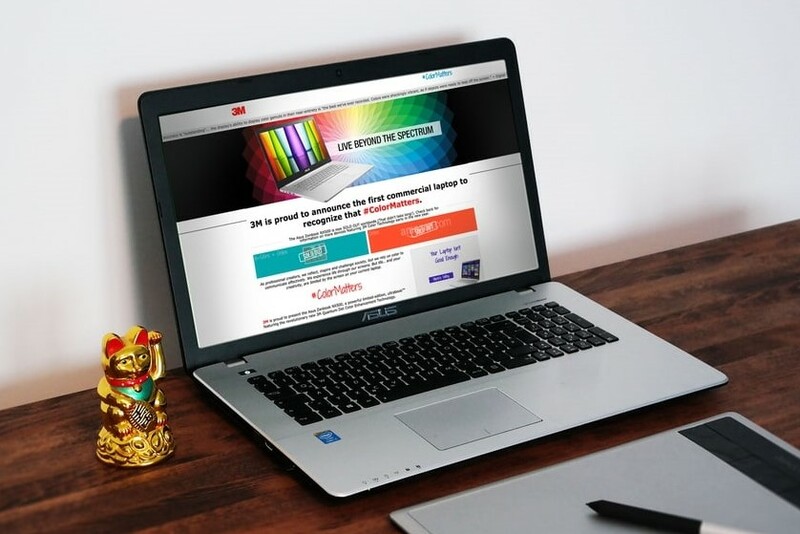 3M had a unique product, a clear value proposition, and a proven partner, but the limited-run ASUS pilot program meant the price per piece on each laptop would be higher than comparable machines without the new technology. Eddy Alexander (then called Eddy Communications Corporation) was hired to develop a clear, actionable, go-to market strategy that would generate new product sales and promote 3M’s role in the exceptional screen color quality of the ASUS NX500: the first commercial laptop to deliver 100 RGB and sRGB Color Spectrum. Eddy Alexander worked with both 3M and ASUS to design and manage the entire new product campaign. They defined a clear target audience that had the right buyer values, budget, and technology adoption profile to fit this product launch, and they worked with the client to time the release just before the Christmas-buying season. 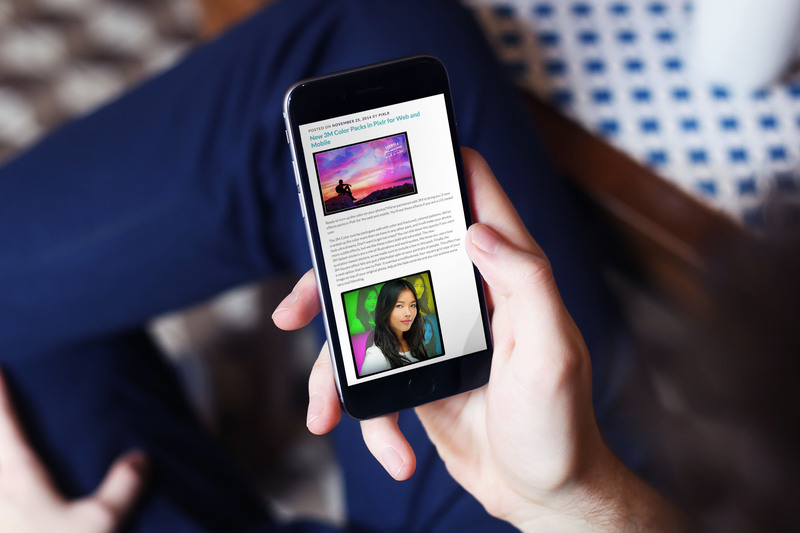 Eddy Alexander built the corresponding campaign messaging architecture, developed the campaign landing page, managed online advertising and social media, and developed gamification partnerships with both ColourLovers.com and Pixlr Express— niche social communities that already engaged the target audience at scale. Once deployed, Eddy Alexander project-managed the entire 3M Color Matters campaign, developed and managed the earned media and paid promotion plans, coordinated all vendor activities, and tracked and assessed campaign analytics for client reporting. The goal was to sell out of stock within one year. 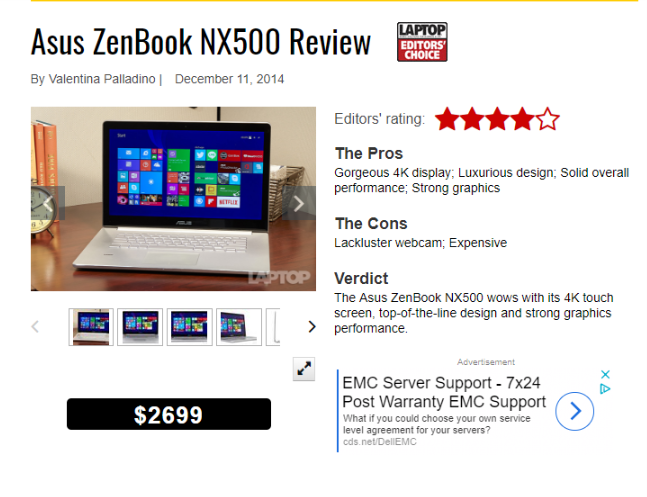 Amazon.com sold out of the new ASUS NX500 laptop in less than 48 hours, and ASUS sold out of its entire stock of NX500s worldwide in less than two weeks. 3M was thrilled with the results and immediately set to work adjusting other product launch initiatives to model off the success of this effort. 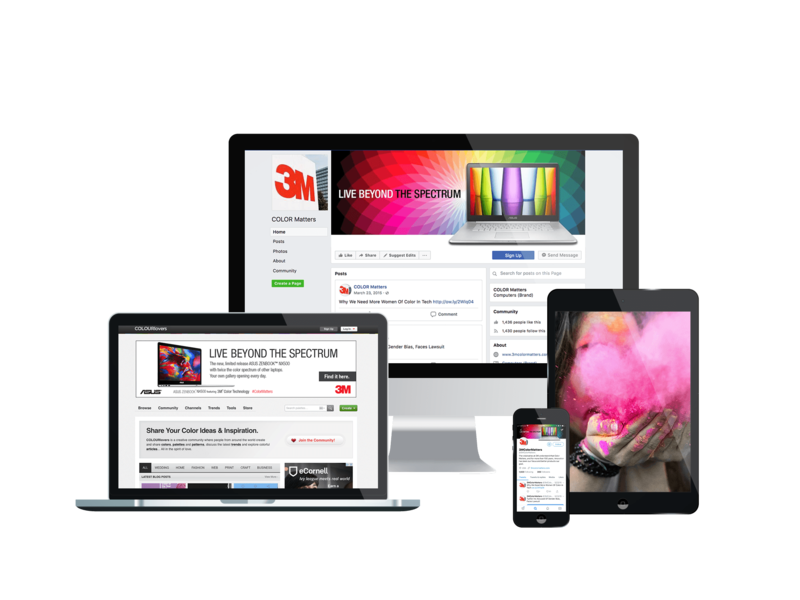 "We take promotions and social media efforts around the 3M brand seriously. Working with Eddy Communications has been wonderful. They quickly understood our objectives and determined the means to track results. They anticipated our concerns and quickly laid out a path to a successful campaign."